You can be an MBA Ambassador! Get chosen to become MBA Ambassadors for catalyst4mbas.com. All MBA Ambassadors need to do is share the events invitation link to their Alumni's social network, getting them exclusive priority invitations to meet CEOs and worldwide MBAs. It is literally as easy as clicking a button. Student or Graduate from a top MBA school? This opportunity is for you. MBA Ambassadors bring value to their MBA Alumni by sharing with them our exclusive MBA events, giving them the opportunity to connect with CEOs & high potential people and get them privy to exclusive job opportunities. We organize mostly events in Tokyo, Japan and Shanghai, China and soon in Myanmar. Live-streaming will be available for our future events! 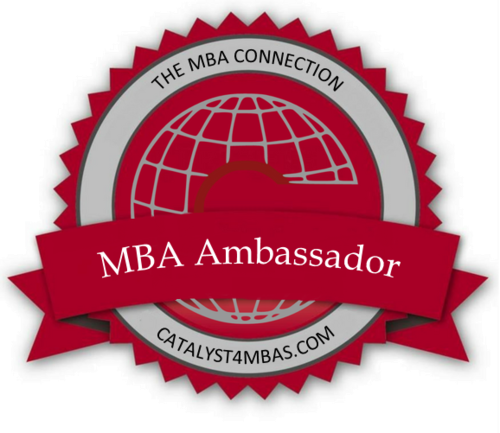 Email us at vip@catalyst4mbas.com and become an MBA Ambassador for your MBA Alumni!